Question: How do I view all the documents filed for a case? Answer: eFileManager does not provide a service like this. Make sure you are on the Workspace tab (A). Click on the Cases tab (B). Find the case for which you want to view the list of documents. Click the + sign in the far left column, which will then change it to a - sign (C). The case tabs open beneath the case listing. Click the Documents tab (D). 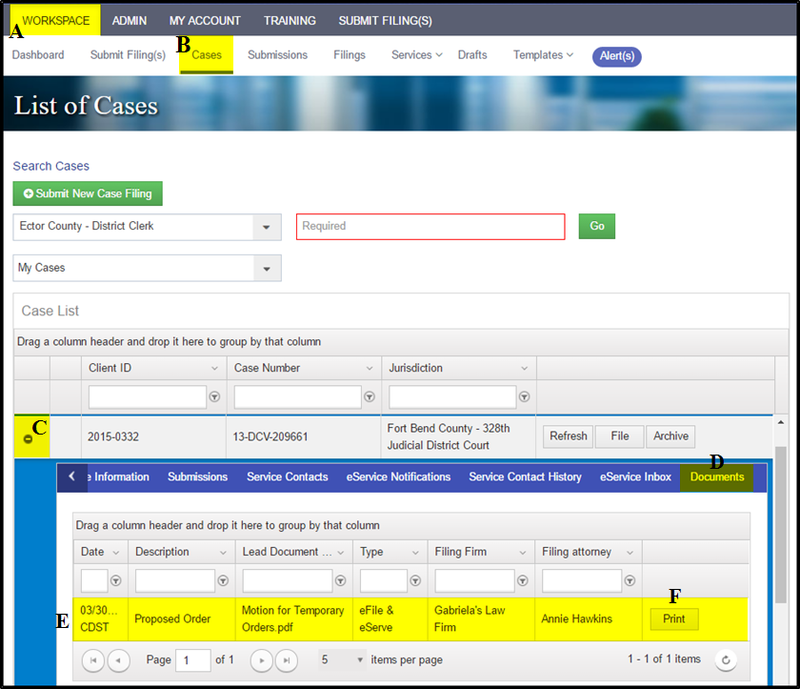 All the documents filed through FileTime for this case by any case party are displayed on the grid (E). Click the Print button to print a copy of that document (F).